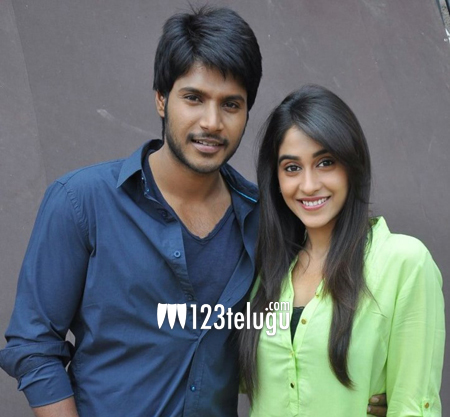 Sundeep and Regina have been good friends ever since they acted together in ‘Routine Love Story’ and ‘Ra Ra Krishnayya’. Even though both the films ended up as average grossers, the chemistry between the young actors was well appreciated. The duo is now teaming up again for a Tamil film. Produced by one of the leading producers in Tamil, Gnanavel Raja, this yet to be titled film is being directed by debutant Lokesh, who made several path breaking short films. The film is said to be a crime thriller and majority if the scenes will be shot during the nights. Sundeep earlier acted in a Tamil film, ‘Yaaruda Mahesh’ and the film was released into Telugu as ‘Mahesh’. Sundeep’s upcoming film, ‘Tiger’, is awaiting its release and Regina is currently shooting for Harish Shankar’s ‘Subramanyam For Sale’.